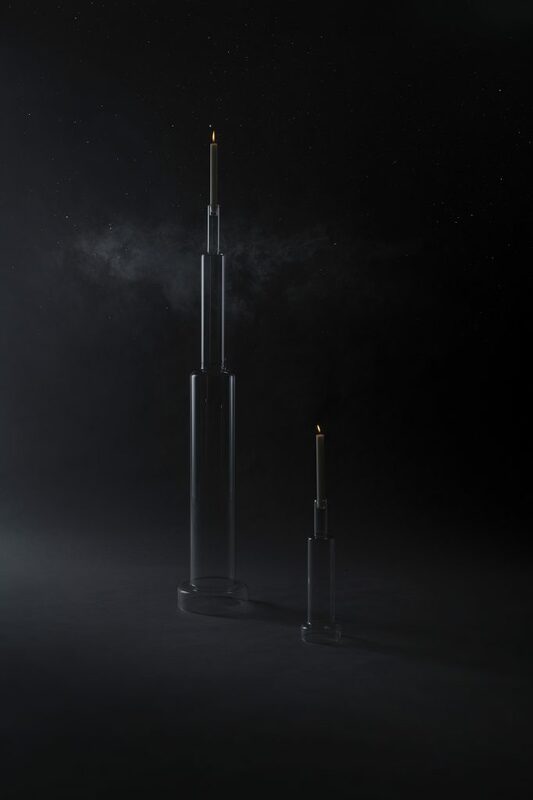 These glass candle holders are inspired by skyscrapers and skylines. The tallest skyscraper reaches a height of 130 cm without candle. Like the entire glass research – glasslab collection (2016) and glasslab cabinet (2017) – these candle holders are made in collaboration with laboratory glassblowers. The skyscrapers are completely constructed out of borosilicate glass. This type of glass is extra strong which provides the skyscrapers with a good protection against extreme conditions and prevents the structure from collapsing.